What is MSM? 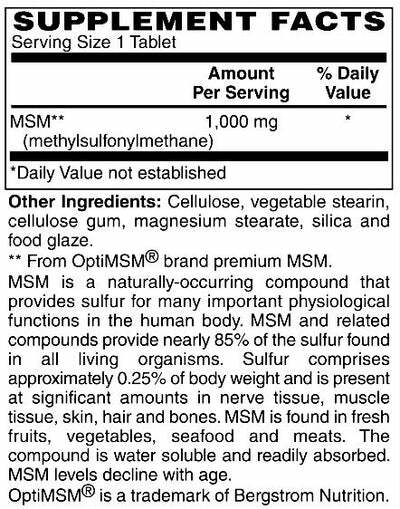 Methylsulfonylmethane, or MSM, is an organic source of sulfur (an abundant mineral in the human body) that helps maintain normal connective tissues. How does MSM support health? Supports joint health. Sulfur contributes to the formation of connective tissue. Methylsulfonylmethane, or MSM, is an organic source of sulfur (an abundant mineral in the human body) that helps maintain normal connective tissues. How does MSM support health? Sulfur contributes to the formation of connective tissue.